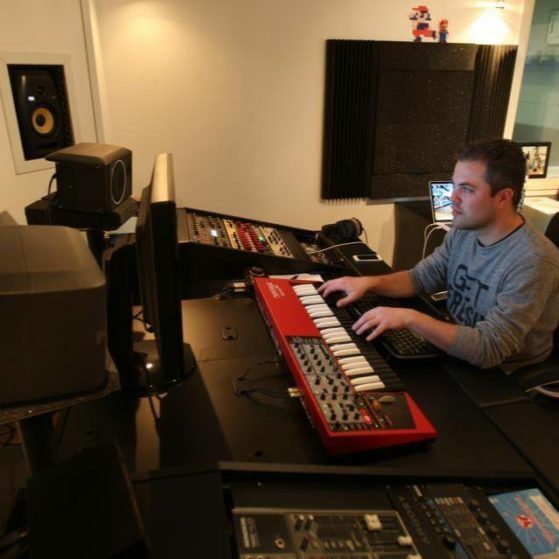 Maarten Vorwerk, the father of ghost producing in electronic music debunked many of his recent works lately. The dutch producer who is the producer behind many hits, such as Sandro Silva’s “Epic” or Dimitri Vegas & Like Mike’s “Wakanda” shared his thoughts about his career recently. It all started with the rumors around Sandro Silva and his collab in 2011. Maarten was mentioned as a co-producer in their track, called “Epic”. And just like we already explained regarding Alan Walker ghost producer relation, being involved with a co-producer means ghost producing most of the times. Not long afterwards a – possibly – fake contract released claiming that DVBBS used Maarten Vorwerk as their ghost producer. Of course, the dutch producer denied the accusations. The dutch producer pointed out that he still making songs for the love of music. Just like all of us, he is living for the music because it’s the best way to present yourself to others. He loves sitting in the studio and creating stuffs just like many of us. His named some of his favorite producers as well as Diplo, Calvin Harris and Giorgio Tuinfort. Even if he is earning much more than we can imagine, his fee is still much less than top DJs getting for a gig. For your information, a major DJ earns between 10-100k$/gigs. Maarten also agree with Laidback Luke claims about the DJ Mag award. That’s nothing else but a popularity contest – as he said too. Who could be more credible than the dutch genius, regarding this topic?! What are his future plans? He is planning to continue his older projects like Jackyll & Hyde which had a few hits around 2005. Also he is planning to return with his his “Vorwerk” project too.